Every project you work on is different from the last and won’t be the same as the next. When your prefabricated components are used, you need something to tell you all details of the project. That “something” is a set of shop drawings. Let’s dig deeper into what a shop drawing is, what you should include in your drawing, and why you need one for your project. A shop drawing is a drawing or set of drawings, done before construction that contains all the details needed to guide the construction of the project. 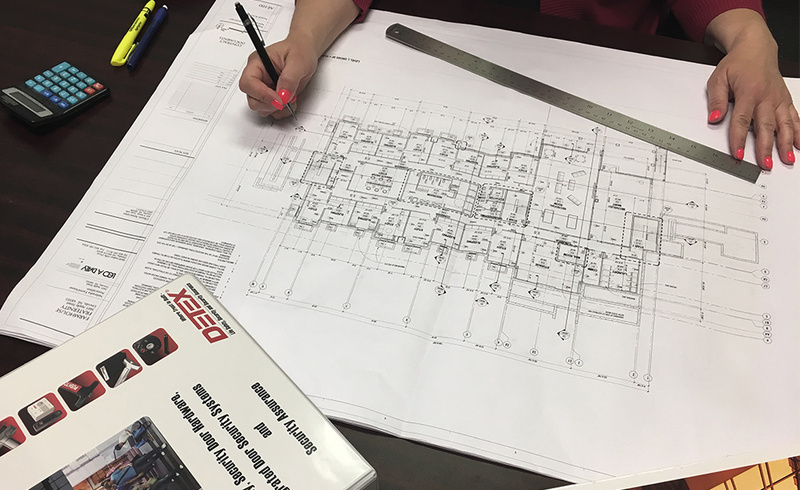 These drawings should depict how the building is originally designed, where electrical wiring and plumbing components are supposed to be, and exact measurements of components needed. 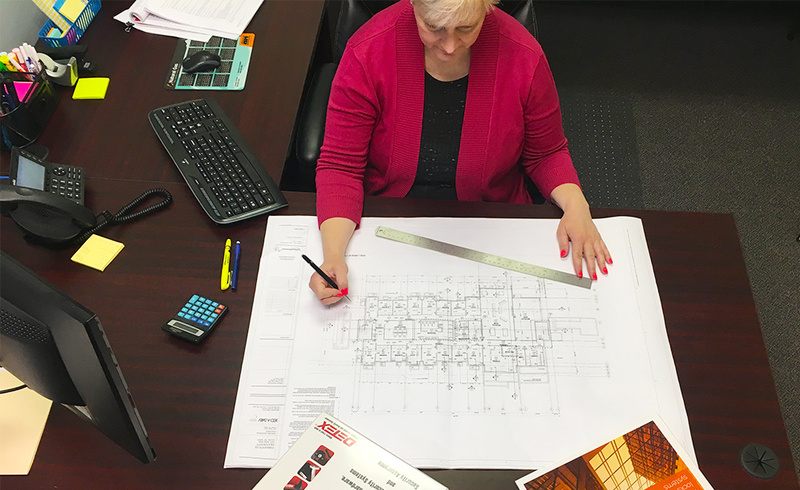 In addition to explaining where everything will be located, shop drawings should act as a step-by-step “assembly manual” of the construction process. You should be able to read your project’s shop drawing and know materials, dimensions, and the installation timelines for your components. A shop drawing should act as the bridge that fills in the gap between the contract documents and the contractor. WHEN SHOULD A SHOP DRAWING BE DONE? These drawings should be one of the first tasks for your project. This step is crucial in the kickoff of each project. Everything will come together in this set of drawings, so that the entire construction team — contractors, designers, manufacturers, and project managers — are all on the same page. Typically project managers and contractors do the first round of drawings. Once they have all the materials needed, measurements taken, and estimates made, the drawings are then approved by architects and designers. After everyone has approved the plans, the drawings are ready to go! Next, we’ll look at a list of items that you should include in your drawings. The following items are an example of components that should be included in your shop drawings. Each project is different and may require additional items, but these are a few that should be present regardless of the project. Before we can start on any of the doors, frames, or hardware needed for your building, we have to know what we’re dealing with. That is what a shop drawing does for us. As manufacturers, we use shop drawings as a manual to follow for each project. More importantly, construction can’t start without them. These drawings define the measurements, placements, and application of all the prefabricated components needed in the project. 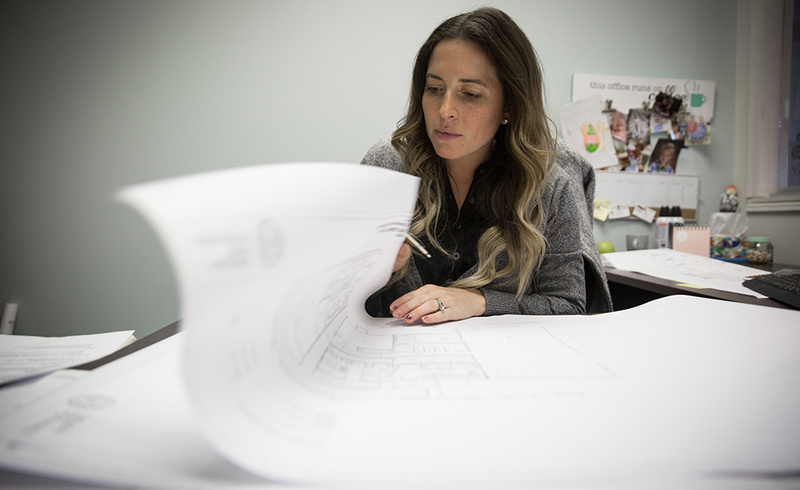 Now that you know the who, what, when, and how to complete a shop drawing, you can get right to work on your next project! Give us a call and we can get one started for you!